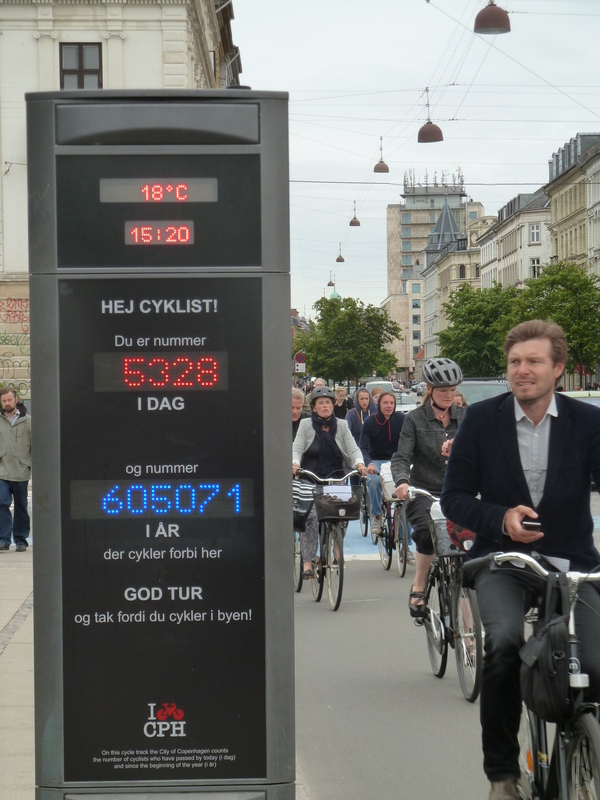 On most of the main bridges in Copenhagen they have counters tracking the number of cyclists who have passed by on that day and since the beginning of the year. Apparently the record–36,000 bikers in one day–was set on a sunny weekday. This man will be the 5,329th person to bike across this bridge today. 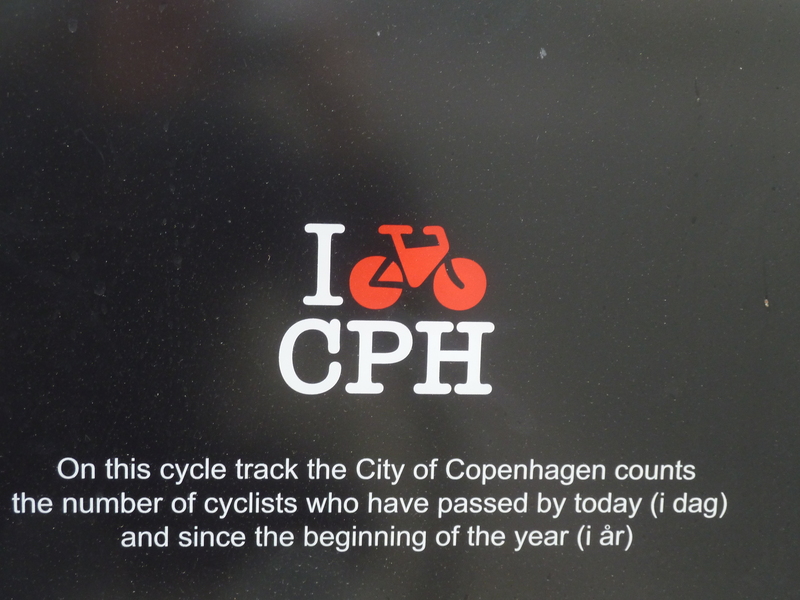 90% of Copenhageners own a bicycle. In Denmark, the average household owns 0.7 cars and 2 bicycles. 58% of Copenhageners use a bicycle on a daily basis. 36% of Copenhageners bike to work (5% walk, 33% take public transit, and 27% drive). 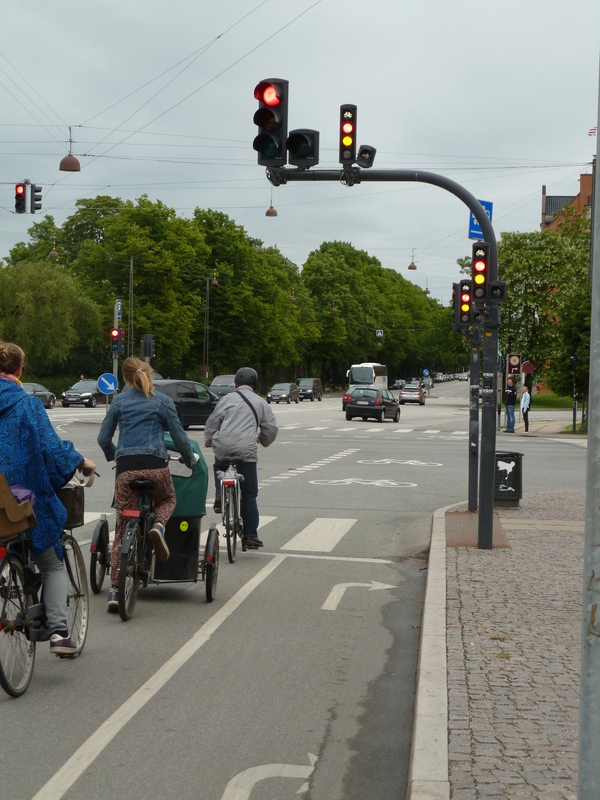 1/3 of the road budget in Copenhagen goes towards bicycle planning and infrastructure. Bikers also get a 6 second head start over cars here. 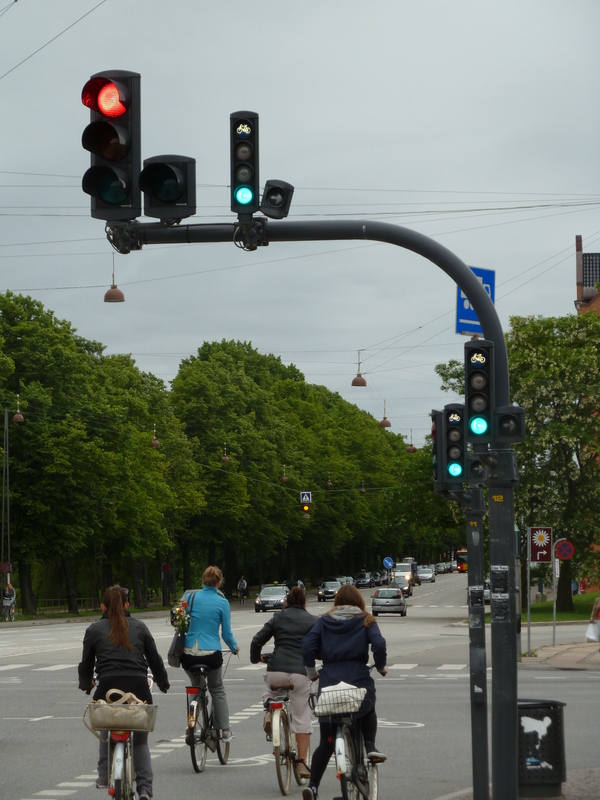 The light for cars stays red for 6 seconds while the cyclists begin across the intersection. I’ve often heard people say that the weather in Seattle deters bike ridership. Looking at my own behavior, I think it’s probably true. Yet Denmark is a pretty rainy, cold and dark place in the winter. I wonder if the Danish ridership numbers remain relatively consistent year around? I had the same question. Being a data freak, it would be fun to see seasonal charts and graphs on Copehgagen bike ridership.